Dr. Neil F. Riley joined the faculty at Francis Marion University in 1991. He is a Full Professor of Finance, holds the Wells Fargo Bank of South Carolina Chair in Financial Management, and is the coordinator for the finance program. Dr. Riley has taught corporate finance, investments, real estate, finance fundamentals, and health care finance. At the graduate level, Dr. Riley teaches corporate finance. Outside of academics, Dr. Riley serves as Chair of the Investment Advisory Committee for the Sisters of the Holy Cross, and provides consulting services in the areas of Forensic Economics, Business Valuation, and Investment Analysis. 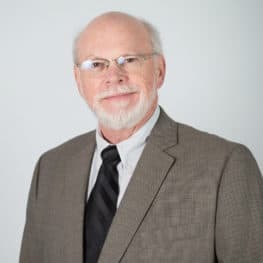 His research has been published in various journals, to include, the Journal of Strategic Financial Planning, Business Appraisal Practice, Journal of Business and Behavioral Sciences, and the Journal of Finance and Accountancy.